An analysis of the government’s flagship national agriculture insurance scheme, the Pradhan Mantri Fasal Bima Yojana (PMFBY), has suggested that while being far superior to previous such schemes, its implementation is seriously compromised. Across the world, agriculture insurance is recognised as an important part of the safety net for farmers to deal with the impacts of extreme and unseasonal weather due to climate change. The PMFBY was launched by the Centre on April 1, 2016 to help farmers cope with crop losses due to unseasonal and extreme weather. It replaced the National Agricultural Insurance Scheme and the Modified National Agricultural Insurance Scheme. The Weather-Based Crop Insurance Scheme (WBCIS) remains in place, though its premium rates have been streamlined with the latest scheme. PMFBY was more farmer-friendly provisions than its predecessors. It reduced the burden of premium on farmers significantly and expanded coverage. It also promoted use of advanced technologies to estimate losses accurately and accelerate payments to farmers. Coverage of agricultural insurance has significantly increased in kharif 2016 compared to kharif 2015 across India. The number of farmers insured crossed 4 crores during kharif 2016, a jump from 3.09 crores in kharif 2015. The sum insured is now closer to the cost of production than before. It has gone up from Rs 20,500 per hectare of land during kharif 2015, to Rs 34,370 in kharif 2016. This means in case of losses, farmers should theoretically get significantly higher compensation than before. However, in some states like Rajasthan, the sum insured remains very low—about one-third of the cost of production. Gaps in assessment of crop loss: The sample size in each village was not large enough to capture the scale and diversity of crop losses. In many cases, district or block level agricultural department officials do not conduct such sampling on ground and complete the formalities only on paper. CSE also noted lack of trained outsourced agencies, scope of corruption during implementation and the non-utilisation of technologies like smart phones and drones to improve reliability of such sampling. Inadequate and delayed claim payment: Insurance companies, in many cases, did not investigate losses due to a localised calamity and, therefore, did not pay claims. For kharif 2016, the claim payment to farmers was inordinately delayed—till April 2017; claims for kharif 2016 were not paid or were partly paid in 14 out of 21 states. Only 32 per cent of the reported claims were paid out by insurance companies, even when in many states the governments had paid their part of premium. High actuarial premium rates: Insurance companies charged high actuarial premium rates during kharif 2016 – the all-India rate was approximately 12.6 per cent, which was highest ever. Much higher rates were charged in some states and regions. The average actuarial rate in Gujarat was 20.5 per cent, in Rajasthan 19.9 per cent, and in Maharashtra 18.9 per cent. Massive profits for insurance companies: CSE’s analysis indicates that during kharif 2016, companies made close to Rs 10,000 crore as ‘gross profits’. Coverage only for loanee farmers: PMFBY remains a scheme for loanee farmers – farmers who take loans from banks are mandatorily required to take insurance. The percentage of non-loanee farmers availing insurance remained less than 5 per cent during kharif 2016 and 2015. Like previous crop insurance schemes, PMFBY fails to cover sharecropper and tenant farmers. Poor capacity to deliver: There has been no concerted effort by the state government and insurance companies to build awareness of farmers on PMFBY. Insurance companies have failed to set-up infrastructure for proper implementation of PMFBY. There is still no direct linkage between insurance companies and farmers. Insured farmers receive no insurance policy document or receipt. The report has also identified issues like delayed notification by state governments, less number of notified crops than can avail insurance, problem with threshold yield estimation etc. that has diluted the usefulness of PMFBY. One of the key conclusions of the report is that PMBY is not beneficial for farmers in vulnerable regions. 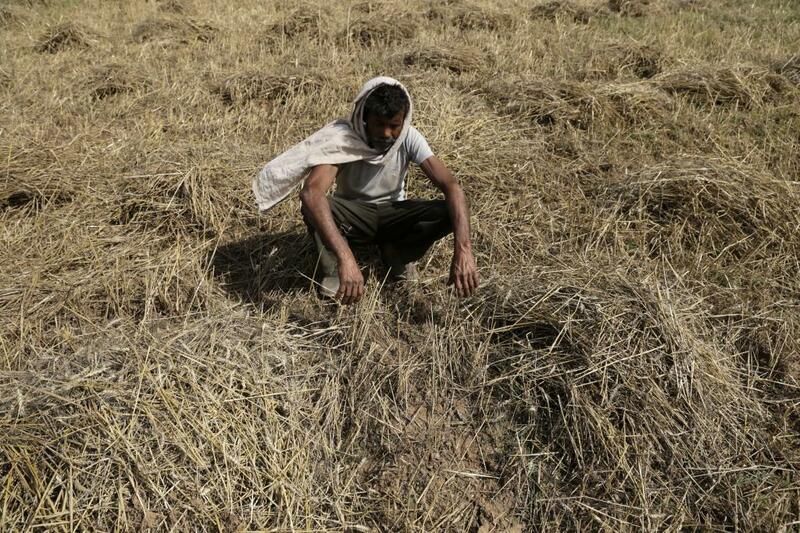 “For farmers in vulnerable regions such as Bundelkhand and Marathwada, factors like low indemnity levels, low threshold yields, low sum insured and default on loans make PMFBY a poor scheme to safeguard against extreme weather events. Our analysis shows that farmers in these areas might not get any claim even if more than half of their crops are damaged,” adds Chandra Bhushan. CSE has given a series of recommendations to improve implementation of the insurance scheme. Coverage of tenant and sharecropper farmers should increase. All important crops should be covered under crop insurance. Diversification of crops and mixed farming should be promoted. Instead of threshold yield, ‘Potential yield’ should be used for crops for which historical average yield data is not available. Damage caused by wild animals, fire, cold waves and frost to crops should also be considered at the individual level. Damage caused by unforeseen weather events like hailstorms should also be included in the category of post-harvest losses. The insurance unit (IU) must be reduced over a period of time. In any case, it should not be more than village level. If the IU cannot be at the individual level and is kept at village panchayat level, premium should also be collected at the village panchayat level. Incentivise groups of small farmers or women farmers and promote group insurance. Sum insured should not be less than scale of finance and/or cost of production. PMFBY timelines from insurance coverage to claim payment should be strictly adhered to. All PMFBY related data related to farmers must be available in the public domain and shared openly with farmers. The clause addressing prevented sowing and post-harvest losses must be implemented appropriately by issuing state notifications prior to sowing. Robust scheme monitoring and grievance redressal mechanism should be in place. Speaking at the release of the assessment, Bhushan said: “In an era of climate change, a universal, subsidised agriculture insurance is crucial to safeguard the lives and livelihoods of farmers. But we need a farmer-friendly, fair and transparent agriculture insurance. An agriculture insurance driven by profit-motives will do more harm than good. Our hope is that the recommendations of this report will help government improve the provisions and implementation of PMFBY and make it a truly effective scheme”.